Welcome to another This Week in Comic Book History! I’ll admit, the articles throughout April got a little out of hand. When should there ever be back to back articles that talk about Guy Gardner? 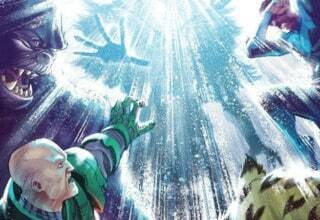 When they are as entertaining as my looks at GREEN LANTERN #12 and JUSTICE LEAGUE INTERNATIONAL #25, that’s when! With that shameless plug out of the way, let’s start fresh and look at some comics that came out in May to pick up our spirits and get this series back on track. And by that I mean look at LOBO #51, which was released in May of 1998. And by that I mean gush over just how freaking cute and amazing Lobo’s dog, Dawg, is! 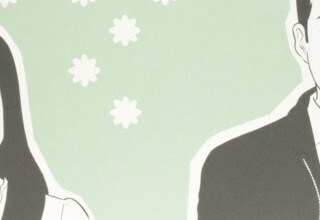 SO CUTE AND AMAZING. READ: Check out This Week in Comic Book History’s look at JUSTICE LEAGUE INTERNATINAL #25! Before we get to the star of the story, Dawg, of course, let’s get a little backstory on the titular character, Lobo. Lobo, at his core, is a parody of the extreme nature that comics began turning to in the 1990s. 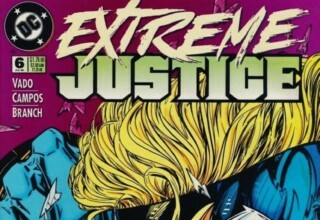 You need to look no further than DC Comics own EXTREME JUSTICE series to see how out of hand the excessive serious of the 90s could become. Lobo was created to point out the ridiculousness of the comic industry at the time and it worked beautifully. The main man, as he calls himself, became a huge star for DC Comics. Unfortunately, all the character traits that made Lobo a star have been either completely removed or altered, making the current incarnation nothing more than another generic DC Comics character. READ: Why not all check out This Week in Comic Book History’s look at GREEN LANTERN #12!? 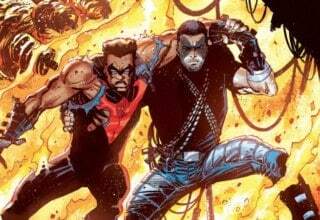 When the new 52 began, the original Lobo was murdered by the current Lobo. This event carried with it a huge amount of irony. The original Lobo was a large, ugly, cigar smoking, disgusting creature. He was the perfect foil for the superheroes of the DC Universe who all look like models. With the New 52, DC Comics decided that Lobo needed to meet this same model figure standard and created a character that has the perfect physique of ever other mainstream comic hero. It wasn’t just the look that Lobo lost either. His unique, over the top personality was also gone and replaced with standard hero brooding. 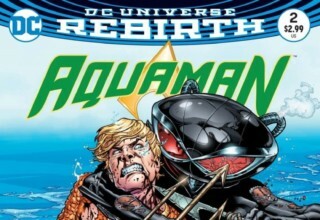 It’s really a shame too because DC is riddled with issues of making all of their stories ultra serious. There’s really no better time for a character like Lobo to interject some fun into their universe again. Alas, that seems unlikely. So let’s go back and look at when Lobo was still fun. Oh, and he still had Dawg. Did I mention I heart dawg? Dawg 4 lyfe. The story itself starts out simple enough. 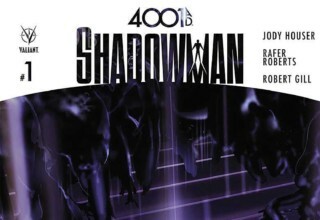 Two highway patrolmen are sitting around, bored, when Lobo flies by on his motorcycle. 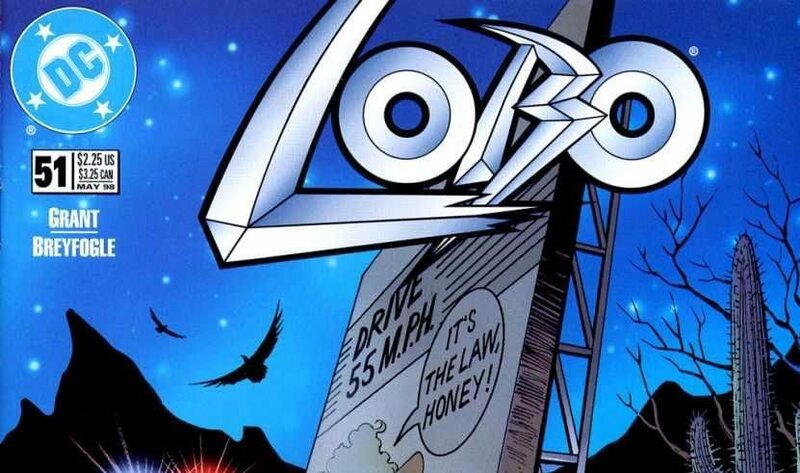 Naturally, he’s speeding because he’s Lobo and he follows no rules. So the cops go after him. Simple, right? Except for the fact Dawg is riding on the back of the motorcycle in the cutest pair of sunglasses ever! The picture of him is above this paragraph. Just let it soak in how adorable he is. READ: Check out the latest Lobo cameo in our review of BATMAN/SUPERMAN #30! My gushing aside, Alan Grant’s writing actually does a really good job of tying all of the seemingly random, over the top events into a tight narrative. For instance, as the cops are giving chase, Lobo get’s distracted by a pretty woman driving a convertible. This causes the police to get distracted by why Lobo’s distracted and not listening to them. They then crash headfirst into a semi-truck, roll off of the road, and get stabbed by a cactus. A classic bit of physical humor. Seems like the highway patrolmen gag should be over and we would move on, right? Oh, how wrong you would be. We next cut to two people in a motel called the Lonesome Motel (not all jokes can be winners. Just look at some of the past This Week in Comic Book History) where a couple is snorting sirian sulphate and getting ready to have all of the drugged up relations. Unfortunately, they stole those drugs and every single person in the world who owns a gun wants the drugs and money back. 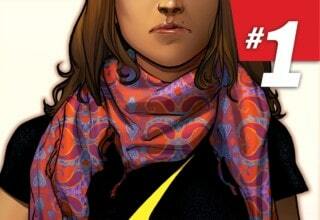 This part of the comic gets really graphic too. One man is threatened for information by the Mafia and promptly shot in the head and dumped in the desert. Another man is eaten alive by two of the cutest dogs ever. 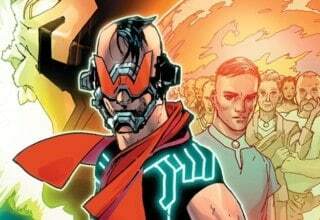 READ: How have other characters change in the DC Universe? Check out our analysis about their accessibility! Side note, if you haven’t noticed, I absolutely love dogs, so I have to take a moment to talk about Heelander, the man whose dogs ate a man so he could find out where the drugs are. He is an invincible Irish man who speaks in an accent that is so offensive it’s actually hard to read sometimes and understand what’s happening. Stereotypes aside, he also has a giant dog named Big Doug and a puppy named Wee Doug. That’s adorable! It’s also a great example of how you should have fun with your characters. They can’t be serious all the time. Even in a story where a lot of people get murdered, there still has to be layers to people. And sometimes we name our pets weird and amazing things. It’s a very small, but very human moment for an immortal man murder machine. And damn it if Wee Doug isn’t the funniest name ever. The Mafia, Heelander, and the Dougs arrive at the hotel at the very same time as Lobo. They were all conveniently equal distances away from the motel and all found out the location of the drugs at the same time. Also, the highway patrol from the start of the story follow Lobo, so they’re involved, and for some reason, the FBI is also sneaking around. There are a lot of stories to juggle here, but they all tie together in a very impressive way. The FBI is there because drugs are bad. The mob is there because they want the drug money. Lobo’s there because the wife of the man who stole the drugs wants him to kill the woman he’s with, and the Heelander is there because the husband of the woman who stole the drugs wants the man she’s with killed. And finally, the highway patrolmen are there because Lobo was speeding, and they are giving him a ticket by any means necessary. It all makes so much sense! Sometimes, when you have a story with a lot of seemingly unrelated characters, simple motivations are often times better. I don’t need to know the details of how they all got there, just tell me why this is happening, have it make sense, and move on. Bravo, Lobo #51. Just, bravo. Oh, Lobo also ordered a pizza, but we’ll get to that. Naturally, this all ends in an epic standoff. Everyone is pointing guns at everyone when the pizza man walks into the room. He tries to back out but accidentally trips, causing everyone to lose their minds and just start murdering each other, because, why not at this point? It’s here where Norm Breyfogle’s art gets to cut loose, and it does a phenomenal job conveying the chaotic absurdity of the scene. Also, Lobo’s gun says, “Frag ‘Til Ya Puke” on the side. That’s fantastic. Elsewhere, Dawg murders Big Doug and Wee Doug. It’s sad, but Dawg wears sunglasses, and the other two just have funny names. Clearly Dawg is the alpha in this situation. With seemingly everyone but Heelandeer and Lobo dead, since those two can’t die, and no more ammunition, the two begin to stab each other. Somehow, the two patrolmen from the very beginning of the story survive and slide out of the room with the drugs and money. They may not have given Lobo a ticket, but now they’re stupid rich and they can do so many drugs. That’s a win, right? And with that, we end another week in comic book history. If there’s one thing you learned from this article, I hope it’s that Dawg is awesome. If there’s one thing I learned, it’s that there are not enough I heart Dawg t-shirts for sale. This is a travesty. See you next week!